The KTM 450 SX-F has received a series of modifications for 2013. One of the most significant upgrades it the completely new, engine which is lighter and stronger than the old one. The engine features groundbreaking injection technology and guarantees brutal yet controllable power. 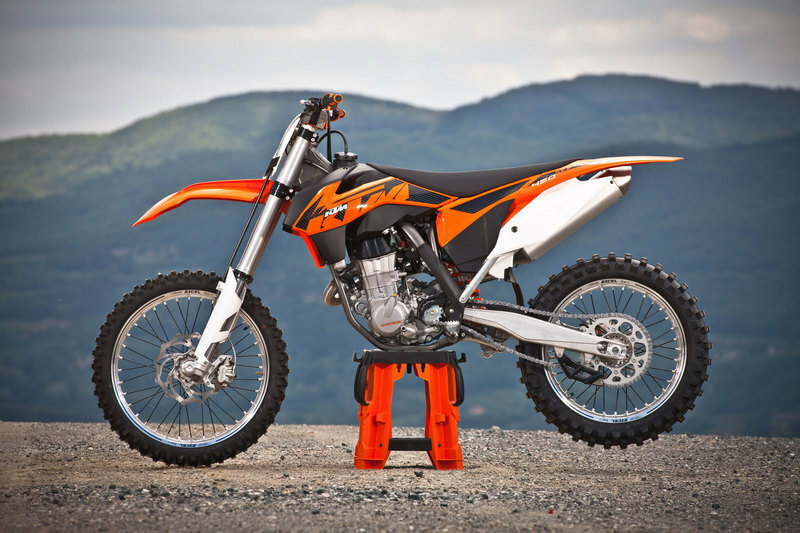 The engine is not the only new feature offered for the 2013 KTM 450 SX-F, as the bike has also received improved suspensions a new body and a better frame. Talking about the frame, it features a lightweight design and is made of high strength, chrome-molybdenum steel section tubes which guarantee an ideal mix of longitudinal and torsional stiffness. This results in improved handling and steering characteristics. The improved 48 mm upside-down fork features closed-cartridge technology and has been optimized with revamped settings. On the other hand, the cast aluminum swingarm features a completely redesigned rear section which now allows installation of a thicker rear wheel axle (25 mm instead of 20 mm). 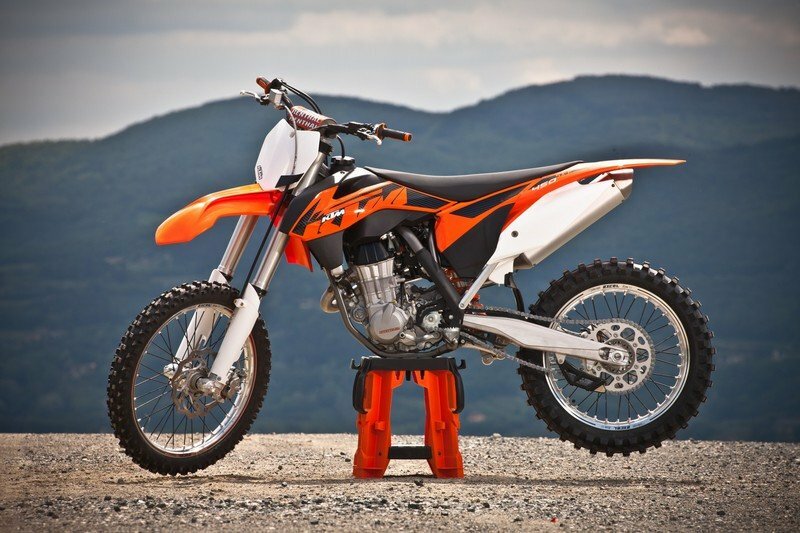 Hit the jump for more information on the 2013 KTM 450 SX‑F. A completely new, significantly lighter engine, featuring groundbreaking injection technology, guarantees brutal yet controllable power. 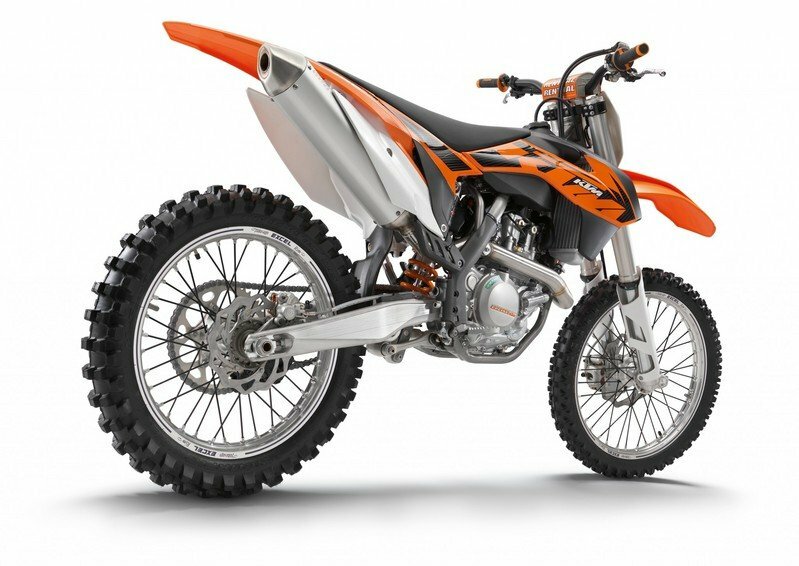 Packed into a chassis, which has been improved massively in terms of bodywork, frame and suspension, the KTM 450 SX‑F 2013 sets a new benchmark among the 450 four-strokes in terms of performance and manoeuvrability with its easy handling. Less weight, less maintenance. But, because you can’t save on everything, the 449.3 cm³SOHC SX-F engine offers one major plus: more power. 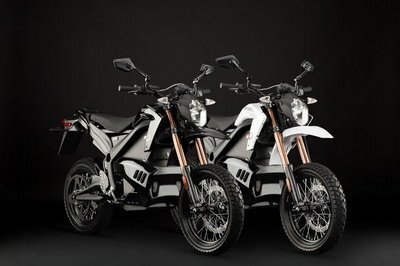 If you combine the 2 kilograms saved by the more compact design with the unbelievable 60 hp, you end up with unparalleled power development and handling previously unheard of in the MX1 class. This is precision engineering: a cylinder head reconfigured for optimal motocross characteristics with a very broad rev range. In this extremely compact and lightweight construction, only one camshaft specially designed for the KTM SX-F actuates four titanium valves via weight-reduced rocker arms (DLC-coated on the intake side). Together with ultra-light valve springs and spring retainers, a maximum engine speed of up to 11,500 1/min can be achieved for maximum power. The crankshaft on the new KTM 450 SX‑F with a 63.4 mm stroke is equipped for 2013 with a revolutionary plain bearing in the lower conrod eye. This means that the conventional needle bearing is replaced by 2 press-fit bearing shells in the ultra-light Pankl connecting rod, which run directly on the crankshaft’s additionally reinforced crank pin. The sliding bearing is supplied with oil directly from the pressurised oil circuit via the crankshaft. In other words: No problem when it comes to rev limits, and the need for servicing the crankshaft is halved. And, because the gyrating mass has been reduced, the bike has more bite and it’s even more agile and dynamic. Every millisecond counts when starting. That’s why the new KTM 450 SX‑F can also be started simply at the press of a button. This is an invaluable benefit in the heat of a motocross battle. A new DDS clutch (Damped Diaphragm Steel) with a wear-free steel cage is fitted to the new KTM SX-F engine, allowing use of thin steel discs for minimum overall width. The diaphragm spring, which preloads the package, not only reduces the operating force required to pull the clutch, but also provides space for integrated hub damping. The result: more traction and protection for the transmission. And with hydraulic clutch actuation from Brembo, the rider has everything under control right from the start. The modern frame design of lightweight, high strength, chrome-molybdenum steel section tubes guarantees an ideal mix of longitudinal and torsional stiffness, resulting not only in easy handling and precise steering behaviour, but also in excellent ride stability. The four-stroke frames impress in MY 2013 with a stiffening of the frame triangle and thinner-walled down tubes. This leads to an improvement in tracking stability (increased torsional stiffness) accompanied by a reduction in weight. The engine braces to the cylinder head have also been optimised, along with their attachment to the frame. The frame bears a new colour on the KTM 450 SX‑F 2013 and it is still the benchmark in terms of weight and stability. The further improved 48 mm upside-down fork featuring closed-cartridge technology has been optimised with completely revamped settings for perfect harmony with the new frame and engine. The new oil is significantly more wear-resistant and guarantees more consistent damping throughout both the course of a race and the bike’s life cycle. A new lower triple clamp is 80 g lighter and, just like the upper triple clamp, CNC-machined from high quality aluminium, whereby the steering characteristics and hence the responsiveness of the fork have been noticeably improved. The cast aluminium swingarm has been developed with state-of-the-art calculation and simulation software and constructed, in terms of design and wall thickness, for minimum weight with optimum stiffness and sufficient flex. For the 2013 model year, engineers have redesigned the rear section of the swingarm to allow installation of a thicker rear wheel axle (25 mm instead of 20 mm) for the benefit of better tracking stability. Moreover, they have succeeded in reducing weight by more than 100 g by revising the bolts, cups and nuts on the linkage. 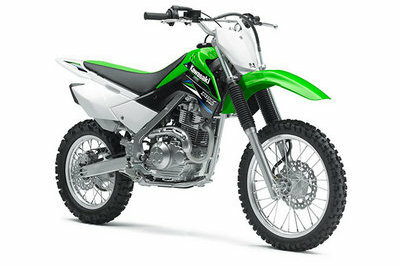 Not only visually does the completely revamped bodywork indicate that the 2013 model year represents a new SX generation. Above all, the ergonomics and function of the plastics have been designed in such a way that the whole chassis and engine package forms a perfect harmony with the rider down to the very last detail. The fuel tank and spoiler have been restyled along with the airbox cover and the front fender, including the start number plate. A particular highlight is the new front fender, which has no ribbing whatsoever on the inside, thereby preventing mud build-up. A pioneering structure and improved attachment of the fender to the triple clamp result in up to 50% greater lateral stiffness. 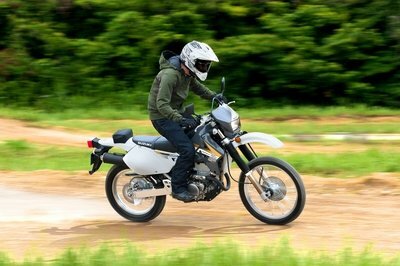 Transworld ---- "On the track, the bike has a light feel, thanks to the quick, snappy engine response, and also the firmer suspension settings. In the past, the slow-revving feel of the 450SX-F engine, paired with the spongy, wallowy suspension, actually made the bike feel heavier than it was." Motorcycle-usa ---- "On the start line the 450 SX-F put down the second-quickest holeshot time at 4.20 seconds at 45.4 mph, just one-hundredth of second slower than the launch control-equipped Kawasaki KX450. 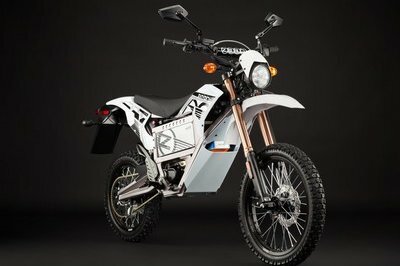 The lack of low-end grunt became apparent in the third gear roll on testing where the KTM accelerated from 15 to 40 mph in a fourth in class 2.849 seconds at 121.4 feet. " MCnews ---- "Suspension is again supplied by WP with 48mm closed cartridge forks and reworked settings in the shock. The 250 SXF and 450 SXF receive heavier front springs while the 350 SXF receives the same modification in the rear. Adjustments are good with high/low speed compression and rebound on the rear and easy adjustable compression and rebound on the forks."